One of the hardest things for creative people to do is to look at their own work objectively. The final edits on my second novel (THE AXES OF EVIL) are now complete, and I am very grateful that I had an excellent editor this time to help me out. J. Thomas Ross, whose blog you should all be reading, tore apart the manuscript and now the book is 100% better. Some of the edits were based on grammatical errors and phrasing, but any good editor should point those things out. No, what made the difference was having an editor who also pointed out exposition holes and other problems. I can clearly see a situation in my head as I am writing it, but that doesn’t mean I have explained it well enough for someone else. Here’s an example: In AXES, there is a scene where Terin, the main character, is trying to sneak into a barbarian village. He has obtained the aid of some rather incompetent goblins, and they are hiding in a food storage shed. Peeking out the window, they observe the scene and make their plans. This is important. A reader needs to understand the layout to not only get what is happening but also to build the tension and suspense as Terin leaves the building and heads toward the prison where his friends are being held. I thought my description was just fine, but Judy (my editor) couldn’t see it. “Doesn’t the fence get in the way?” she’d ask. “And I thought the jail was the big structure at the end of the clearing.” I eventually emailed her a quick map of the town as I saw it, and that assisted in the rewriting. Hopefully no readers will be confused now. Another problem the original manuscript had was mentioning things that made no sense unless you had read the previous book in the series. 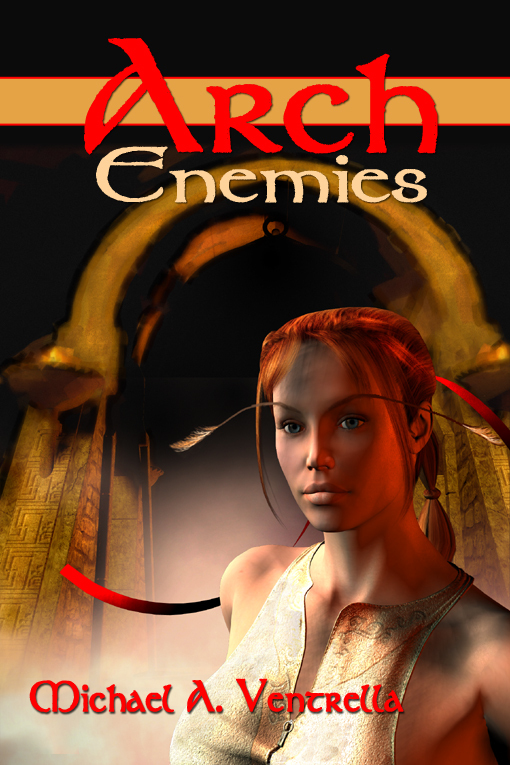 Judy had not read ARCH ENEMIES, and this assisted me greatly, as I wanted THE AXES OF EVIL to be a stand-alone novel. We looked at the references and eliminated the ones that were irrelevant to the plot of AXES and explained the ones that were. In doing so, I tried as much as possible not to give away all of the plot to ARCH ENEMIES — what’s the fun in that? Still, some spoilers were unavoidable and necessary. Having someone edit your work is tremendously important. If you’re receiving many rejection letters, that may just be the reason why. I have always had family and friends read my manuscripts before submitting them, but even then they may not catch everything. Someone who does this at least semi-professionally will make all the difference. Sounds like excellent advice. The average reader and other writers aren’t always the best people to offer editorial input. I recently met an editor and an now halfway through the revision of a novel, and am extremely grateful for the editor’s comments.